Cooking Class held on July 7th at the LAC. Debi Budnick teacher. 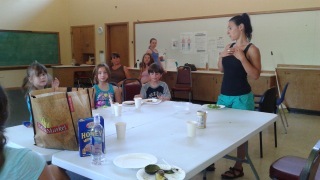 Lyle School District students learning how to make healthy no-bake cookies and quesedillas.